The rich beauty of the Key Town bedroom collection features a sophisticated finish and ornate details to create a traditional designed collection that is sure to enhance any bedroom decor. The dark brown finish flowing over the ash swirl accents features a gentle distressing that perfectly complements the dark bronze colored hardware and embossed recycled leather accents. With the shaped drawer front details and the shapely turned legs, this furniture collection is a shining example of inviting traditional design. Bring grand traditional style to life with the sophisticated details of the Key Town bedroom collection. Savor in the sophistication of this grand traditional design in your bedroom with this beautifully detailed hardwood framed mirror. 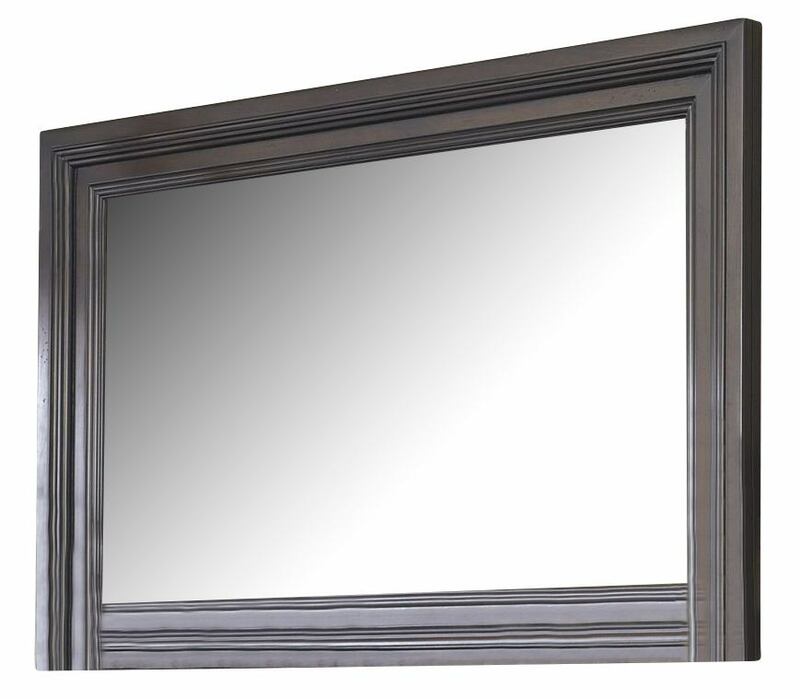 This mirror is the perfect companion piece to the Key Town seven-drawer dresser and the crowning accent to complete your elegant bedroom. The rich, dark brown finish with ash swirl accents of the select veneer and hardwood solids is given a gently distressed look. Bring grand beauty to your bedroom with this collection.